Allergy and Asthma Care of Brooklyn At the Allergy and Asthma Care of Brooklyn, we listen because we care... Let us work together to help you get the allergy relief you deserve. 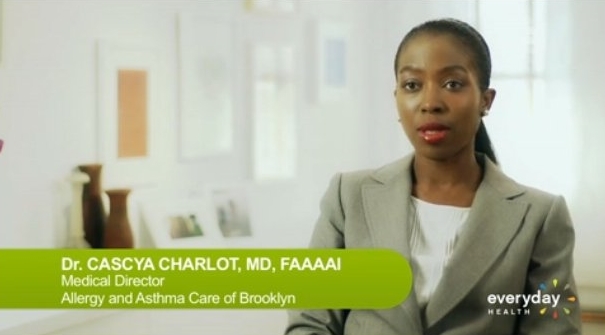 The Allergy and Asthma Care of Brooklyn is a medical clinic dedicated to the diagnosis and management of allergic diseases in adults and children. We specialize in asthma, hay fever, food, skin, and drug allergies, ear and sinus problems, eczema, hives, recurrent infections and environmental reactions. Our Medical Director, Dr. Cascya Charlot, is certified by the American Board of Allergy and Immunology and the American Board of Internal Medicine and well respected in the medical community. Dr. Charlot serves as Chief of the Division of Pediatric Allergy at Methodist hospital in Brooklyn, NY. She is a Harvard Medical School graduate who completed her residency and fellowship training in New York City and is a proud resident of Brooklyn. At the Allergy and Asthma Care of Brooklyn, we promise to take excellent care of you and your child. We are up to date on our medical knowledge and follow the methods of investigation and treatment endorsed by the American Academy of Allergy Asthma and Immunology and the American College of Allergy Asthma and Immunology. More importantly, we are committed to working with you to help you get the allergy relief you deserve. We offer evening hours to accommodate your busy schedule. Our main office is conveniently located at 60 Plaza St E Suite 1L, Brooklyn NY 11238. We have additional Brooklyn allergy office locations in Park Slope, Ridgewood (Queens), and a second location in Prospect Heights. Call us today at (347) 564 3211 to make an appointment or contact us by completing our online form. 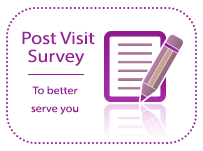 To help you get the most out of your first visit, we ask all prospective patients to take a moment to read our Pre visit forms and to complete the allergy questionnaire and patient information form. At the Allergy and Asthma Care of Brooklyn, we listen because we care…Let us work together to help you get the allergy relief you deserve. 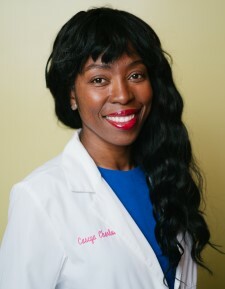 Dr. Cascya Charlot received her medical degree from Harvard Medical School where she was awarded the Harvard Medical School Ebert Award for Community Service in 1997. She went on to complete a residency in Internal Medicine at NYU Downtown Hospital in New York City and a fellowship in Allergy and Immunology at SUNY Downstate Medical Center in Brooklyn, NY. Dr. Charlot has presented at the American Academy of Allergy Asthma and Immunology, the American College of Allergy, Asthma, and Immunology, and the American Thoracic Society. Dr. Charlot is certified by the American Board of Internal Medicine and the American Board of Allergy and Immunology.